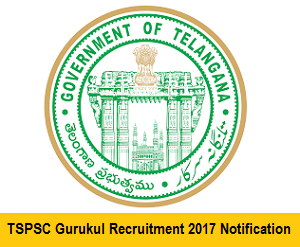 TSPSC Gurukul Recruitment 2017 – 304 Principal Posts | Apply Online at www.tspsc.gov.in. TSPSC Recruitment Notification 2017 : TSPSC has Recently Released Latest Notification is Telangana Sate Public Service Commission Principal Posts . Online Application invited by Telangana Public Service Commission Board . Last Date to Apply Online 24/06/207 .All Candidates can apply online through Official website www.tspsc.gov.in and alljobalert.in . All Applicant can Fill the Vacancies 74 Posts . A Second Class Master’s Degree (M.A/M.Sc/M.Com) or its equivalent from an institution recognized by the UGC, in the relevant (Annexure-A) school subjects for which the Post Graduate Teachers (PGT) are eligible with not less than 50% of marks in aggregate or its equivalent. ii) In case of SC / ST /BC /Differently abled candidates, the minimum marks shall be 45% iii) A B.Ed. or equivalent degree from an institution recognized by the NCTE with the Teaching Methodology in the concerned subject. Candidates are to pay Rs. 200/- towards Online Application Processing Fee & Rs. 120/- towards Examination Fees is to be paid by online through Internet Banking, SBI ePay, Debit Card, Credit Card, IMPS – Mobile payments. After online registration, applicants should required to take print out of the application for future references.